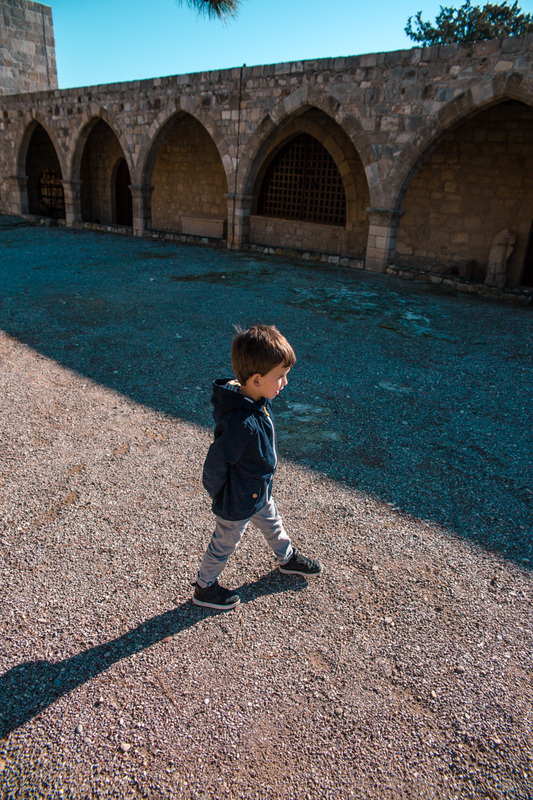 Once in a while it’s nice to play a tourist in your own home destination. 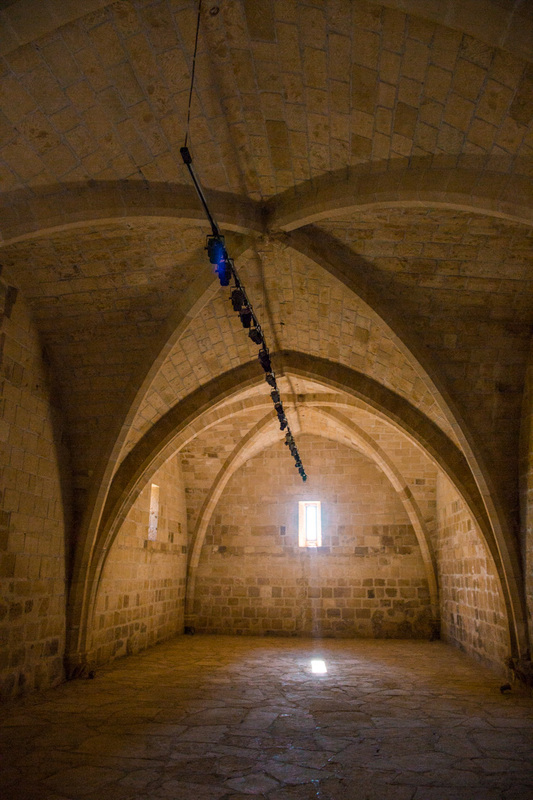 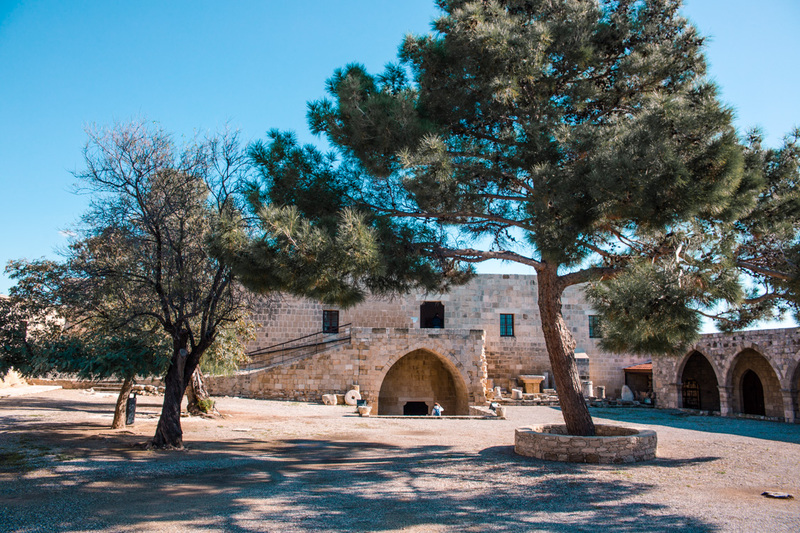 Especially since in Cyprus we are spoiled with lots of historical sites and places of interest, that one can barely dream of visiting while on holiday. 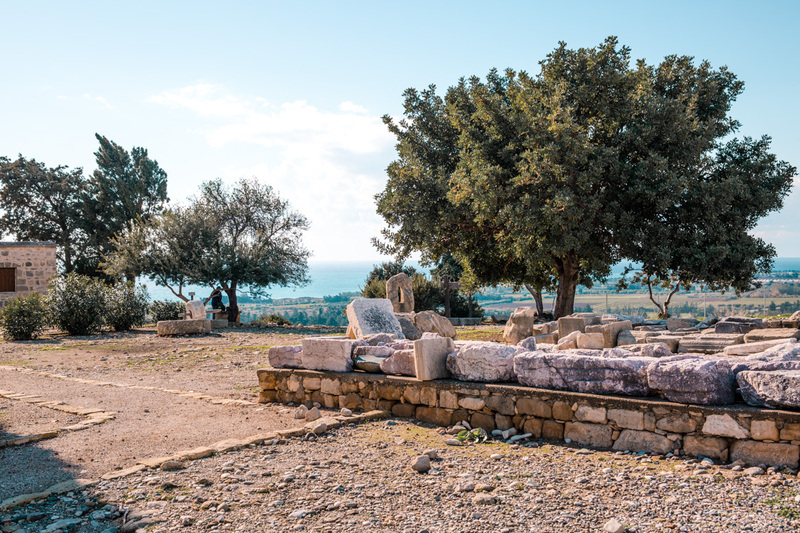 Winter boredom drive me to Sanctuary of Aphrodite, a historic site set in the Kouklia village, with spectacular sea views (as you would expect). 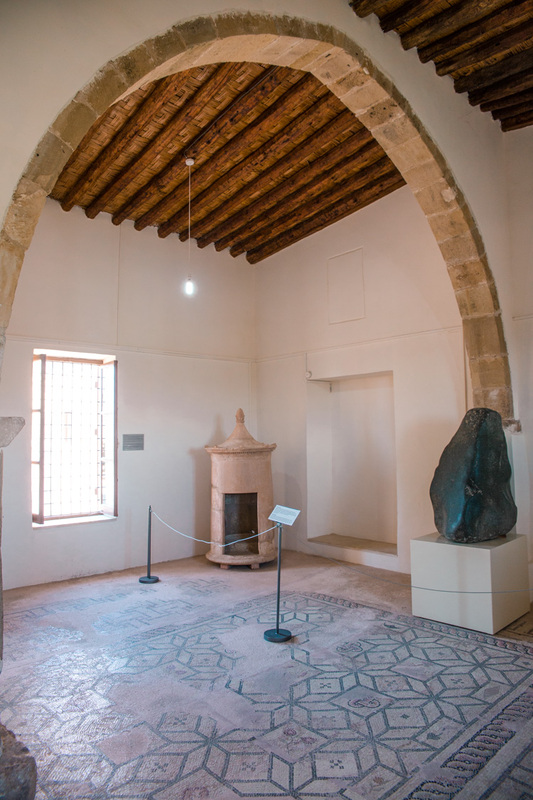 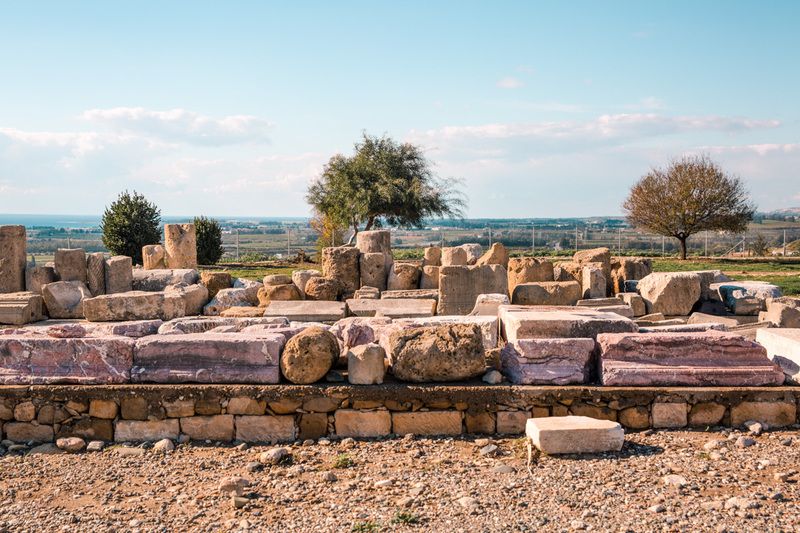 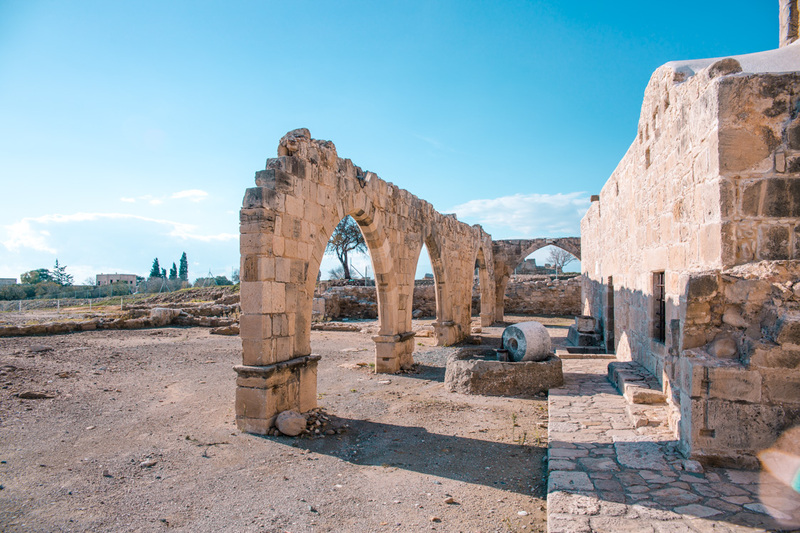 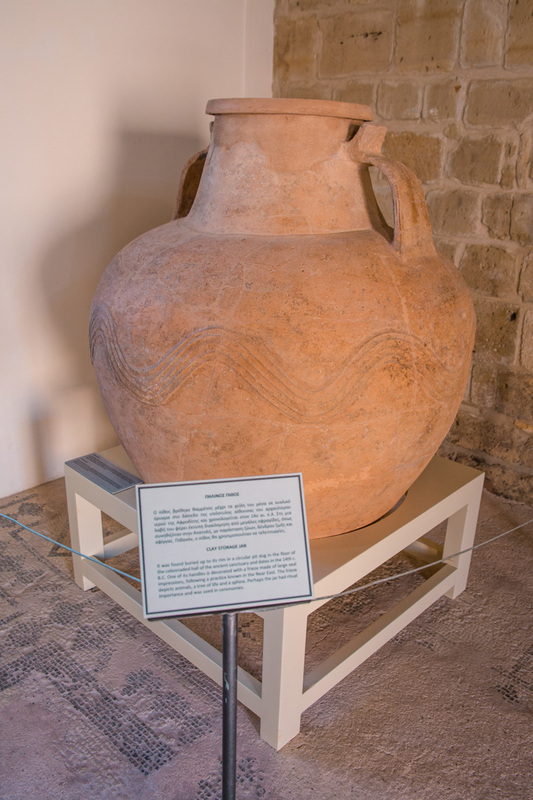 Palea Paphos was one of the oldest pilgrimage centres thanks to it’s Sanctuary of Aphrodite, the goddess of love and fertility. 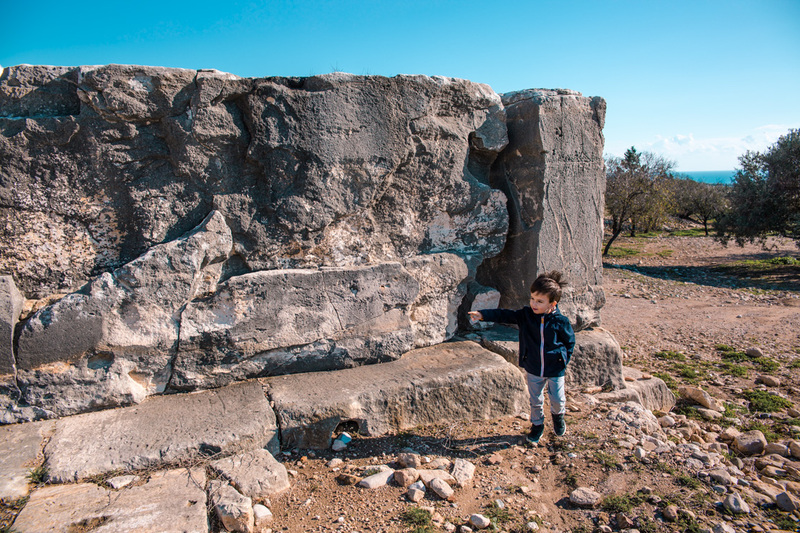 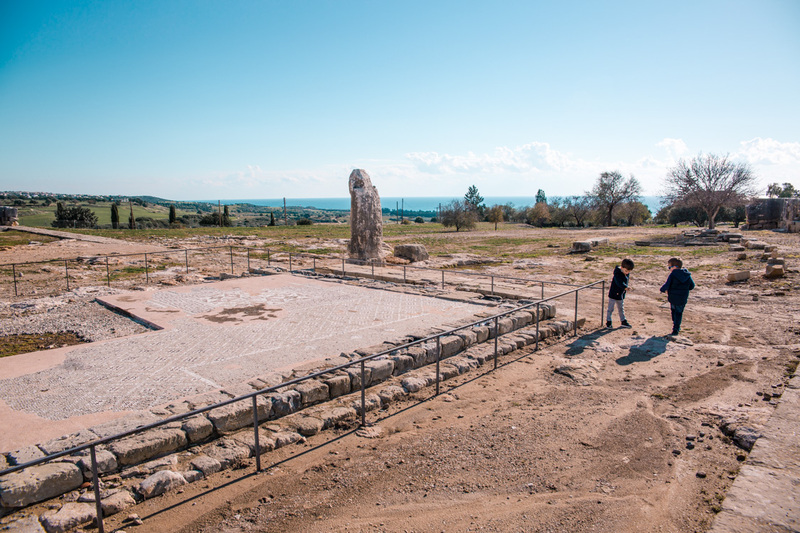 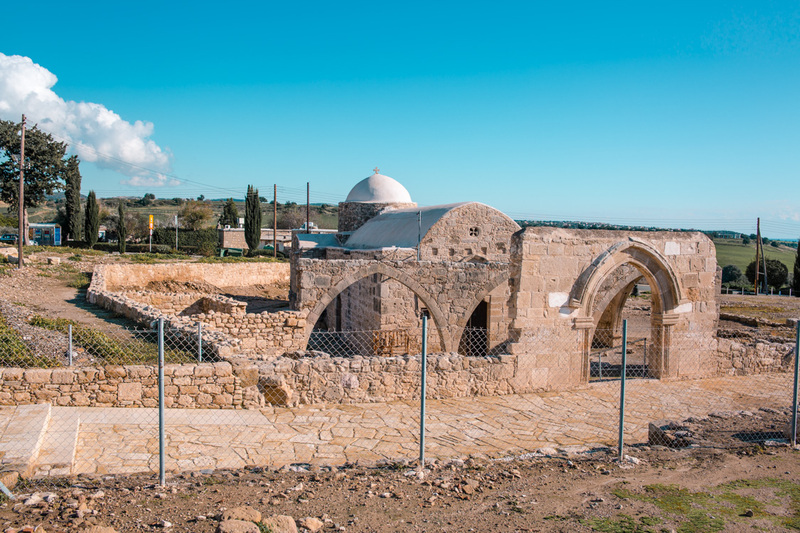 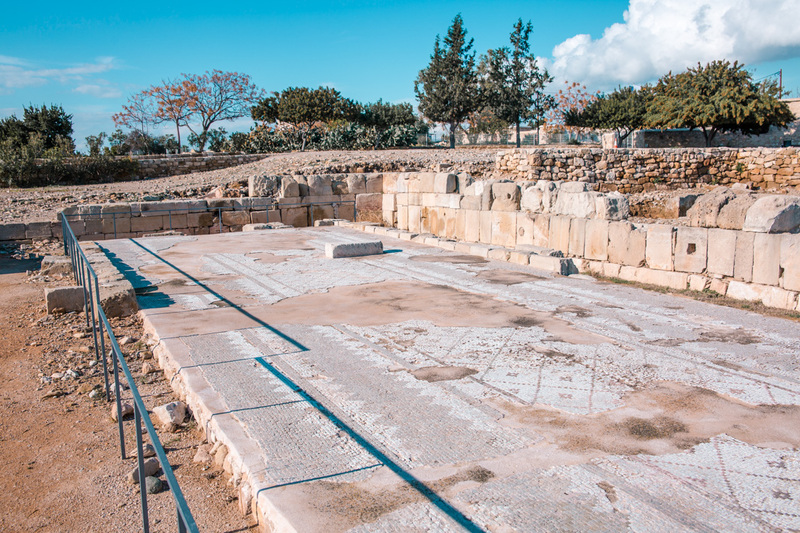 As you will see from the pictures, there is not much preserved from the original site of the temple apart from a few stones and an outline of the original building. 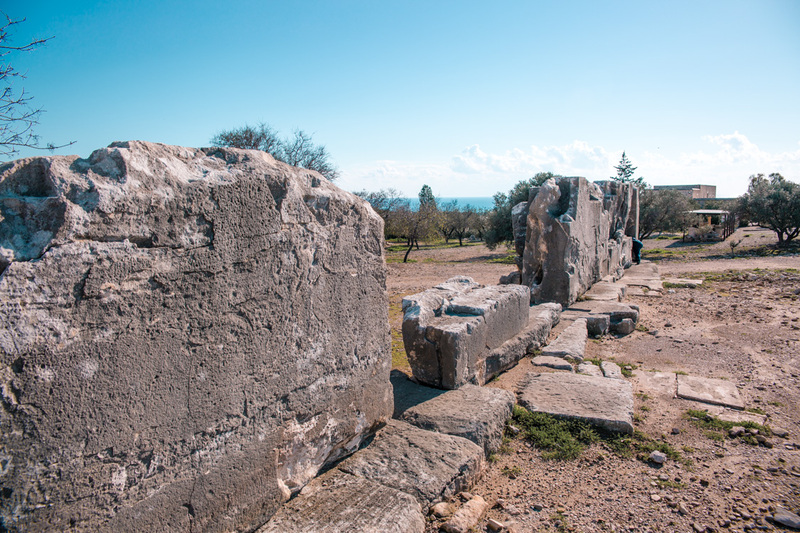 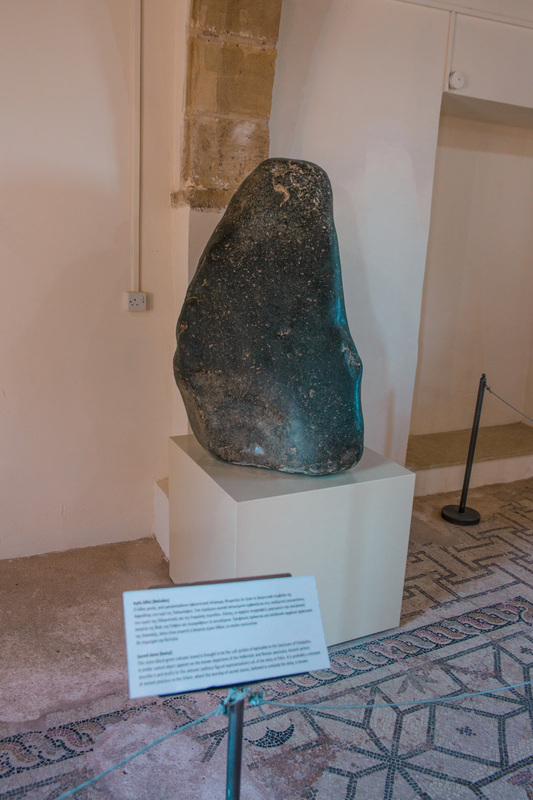 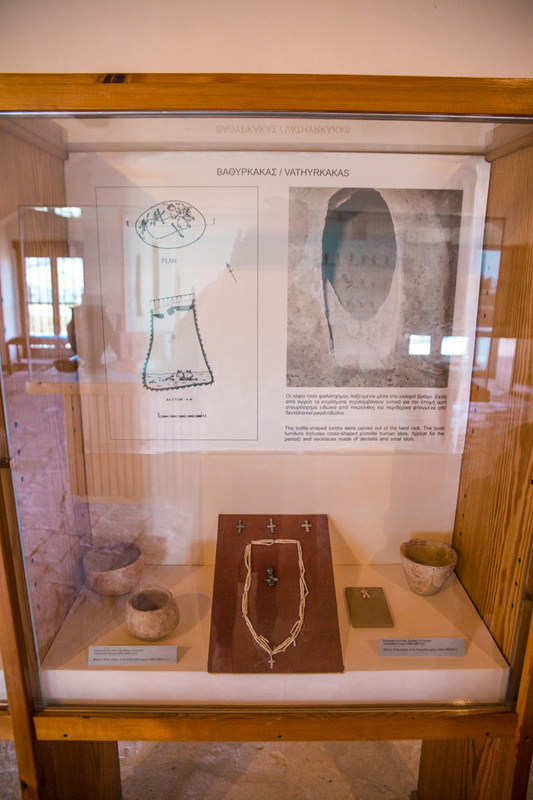 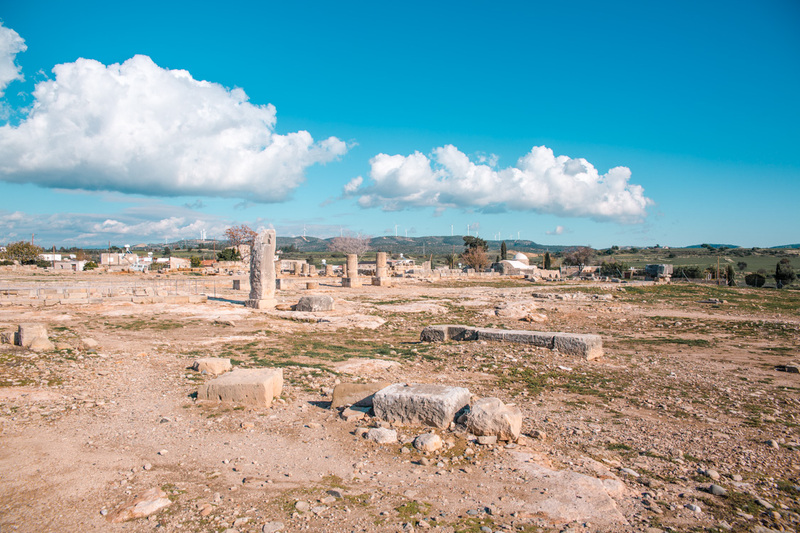 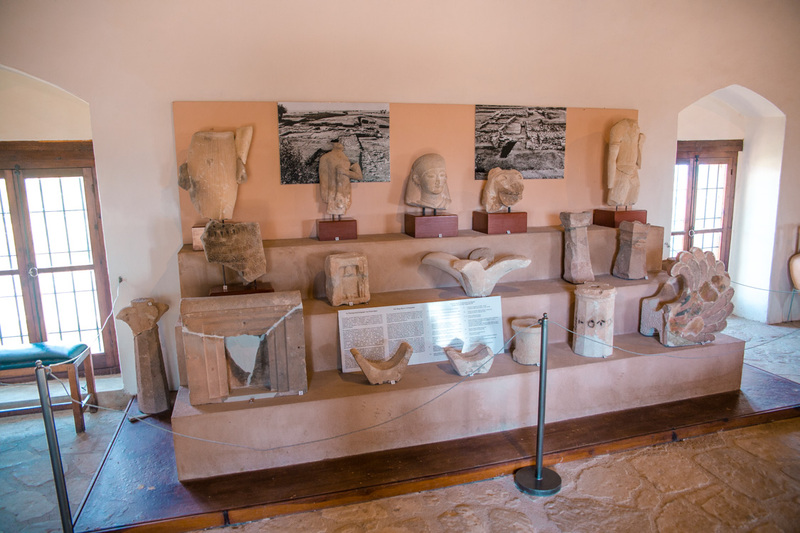 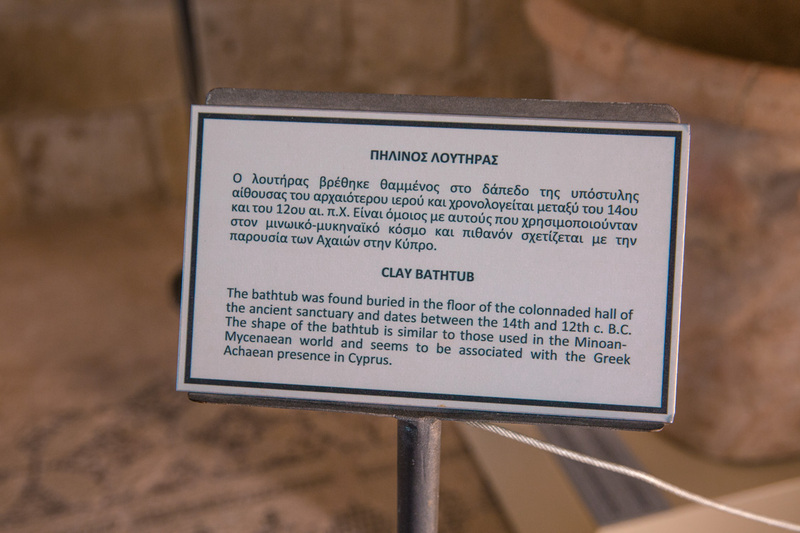 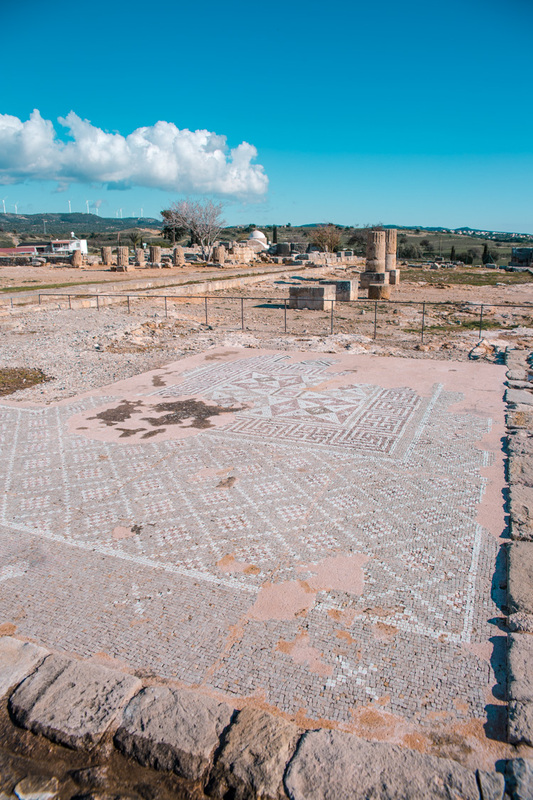 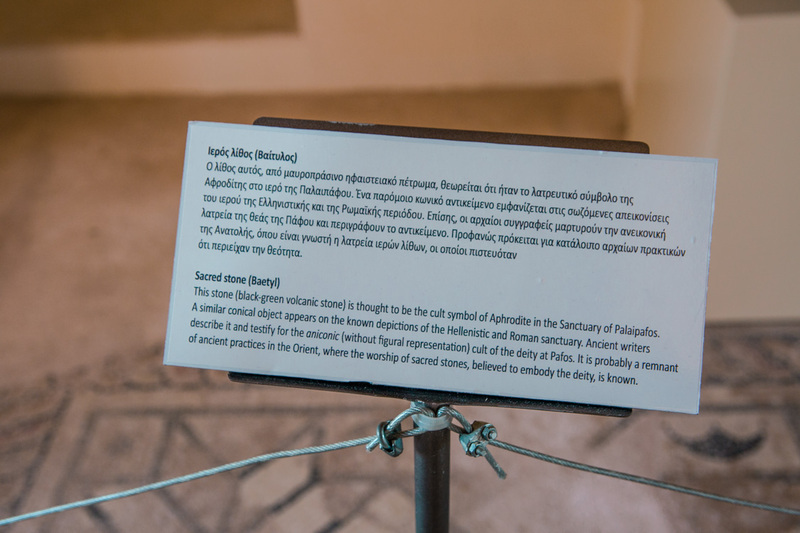 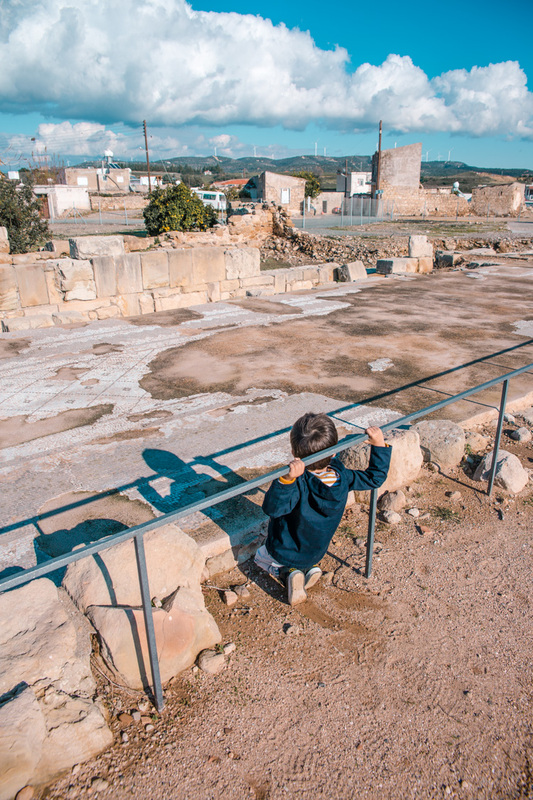 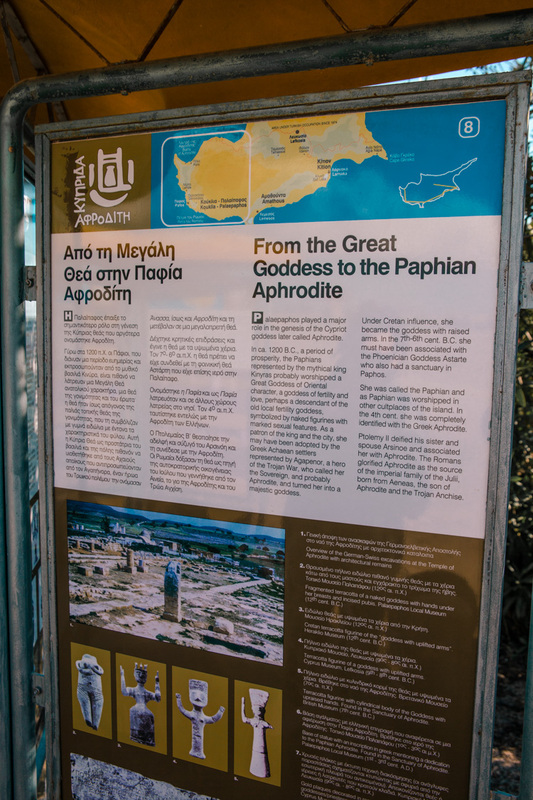 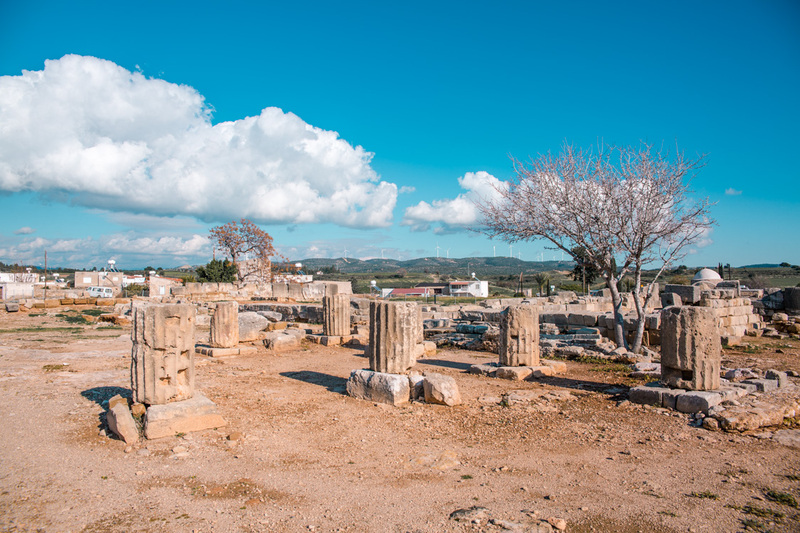 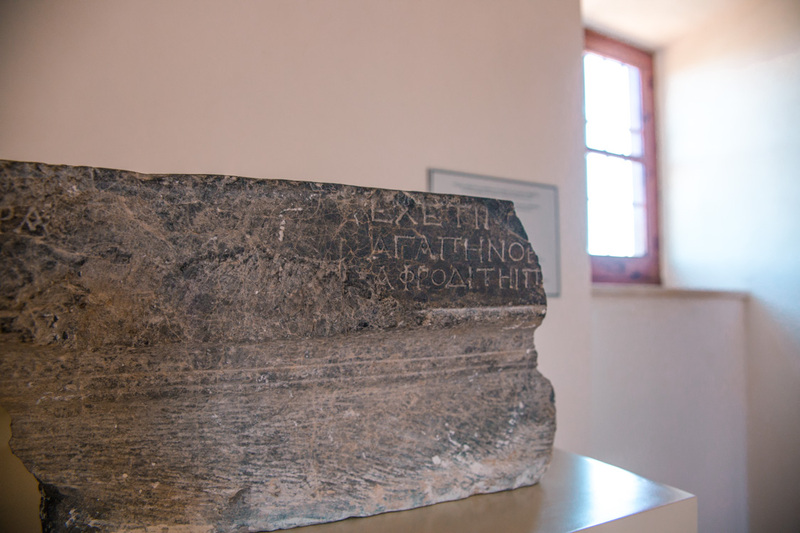 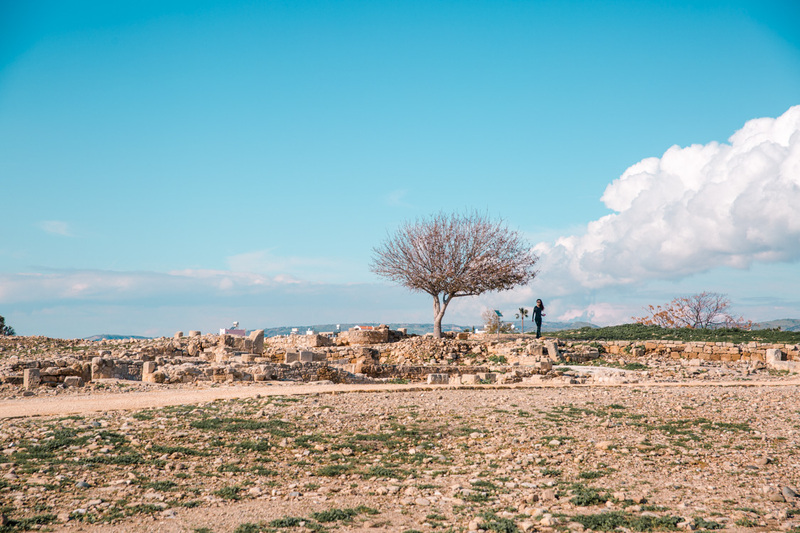 The Aphrodite cult was first established in Cyprus around 1500 BC and the town of Palea Paphos is thought to have sprang around the temple built here and dedicated to the Goddess. 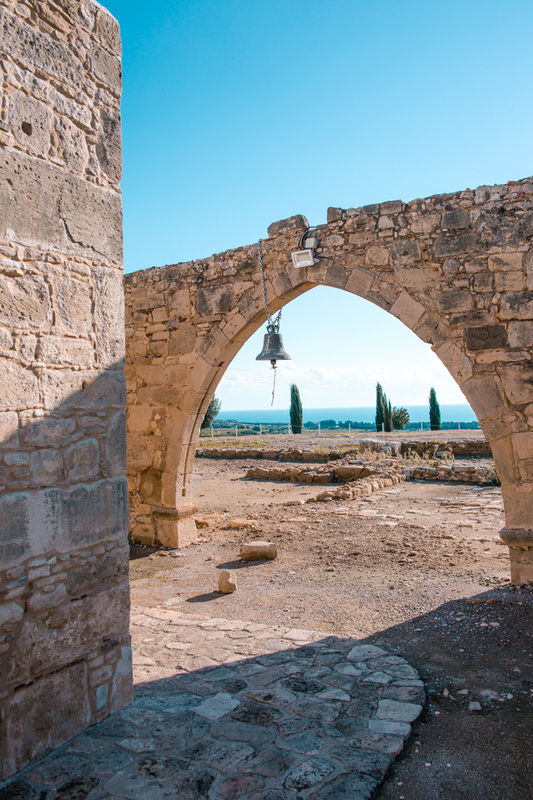 This beautiful historic site is easily accessible both from the highway and the B6, short drive away from Limassol & Paphos. 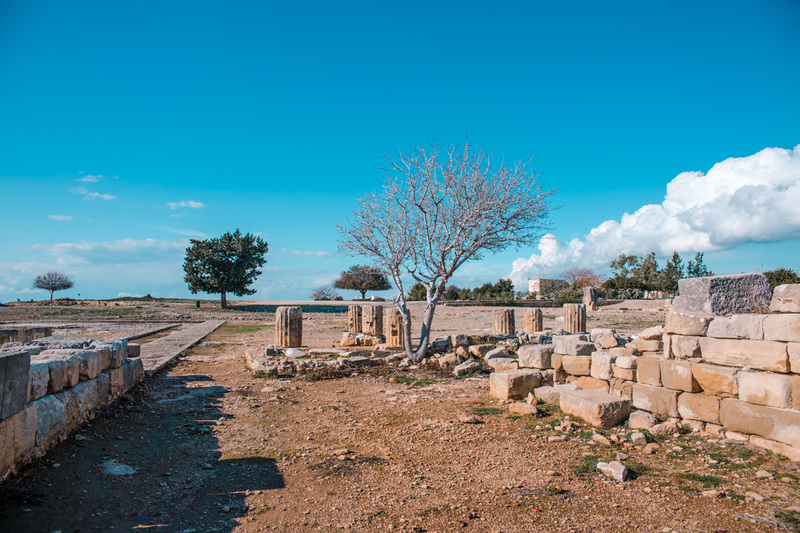 Kouklia village is also a lovely sight in itself. 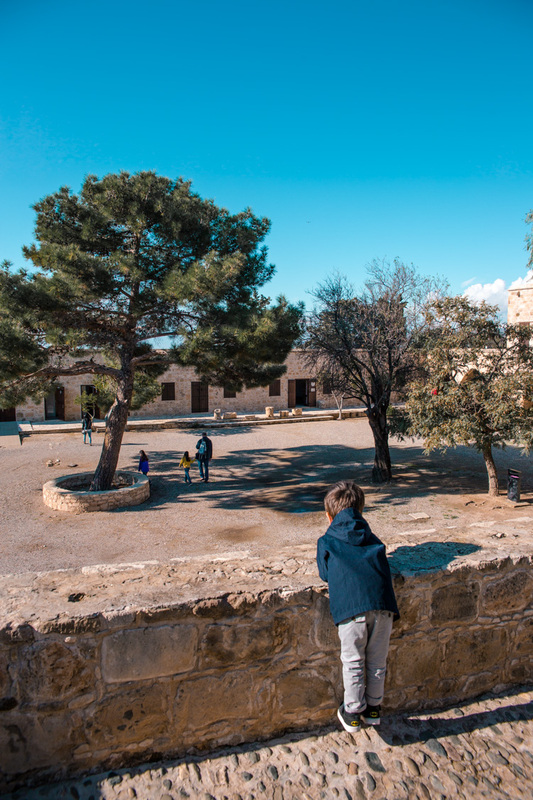 We ventured for a coffee in the local tavern and watched the world go by. 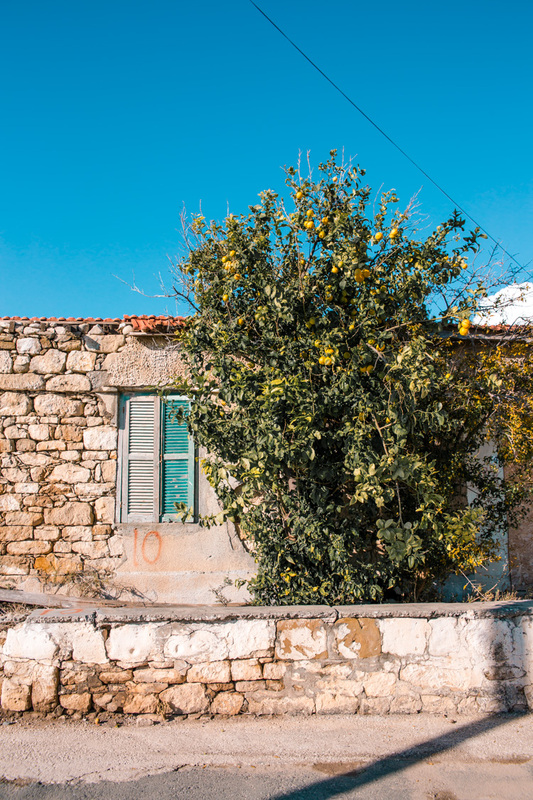 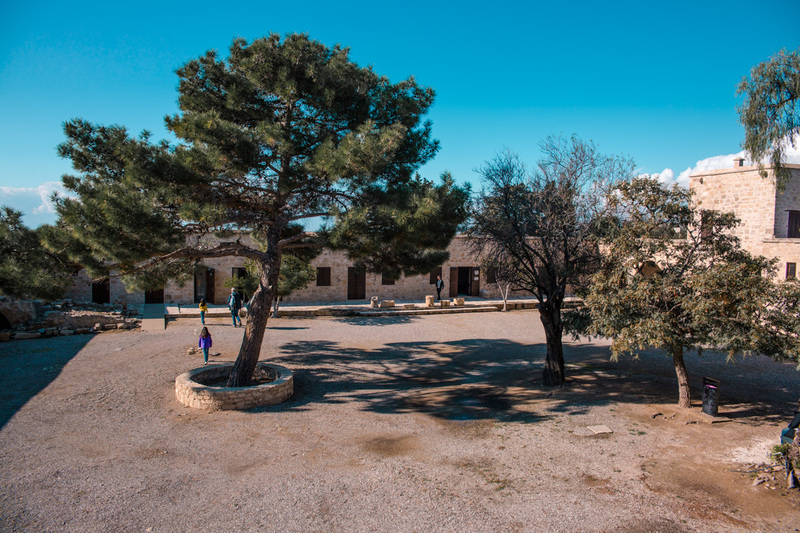 As any other Cypriot village, the charm of the village life coupled with beautiful sunshine and plenty of fresh food produce makes you appreciate the simple things in life. 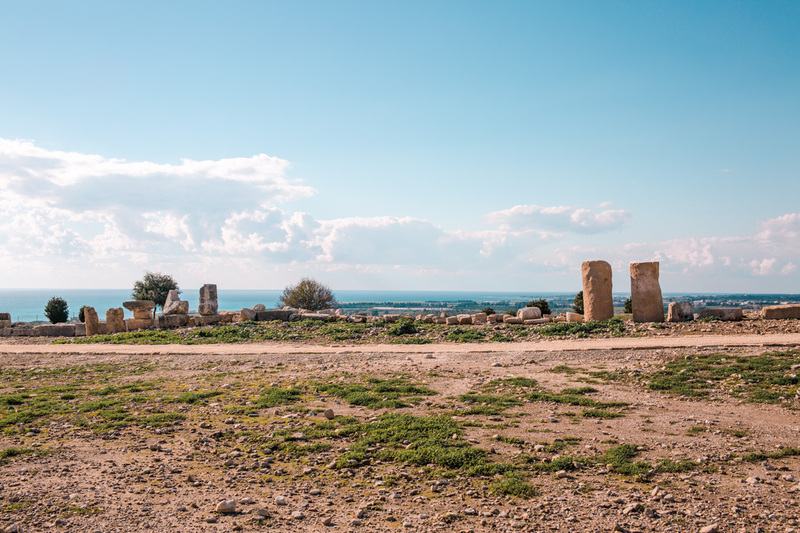 If you wonder whether it’s worth driving up here just to see the sanctuary, I would probably say no – if you have a limited time and you’re on holiday. 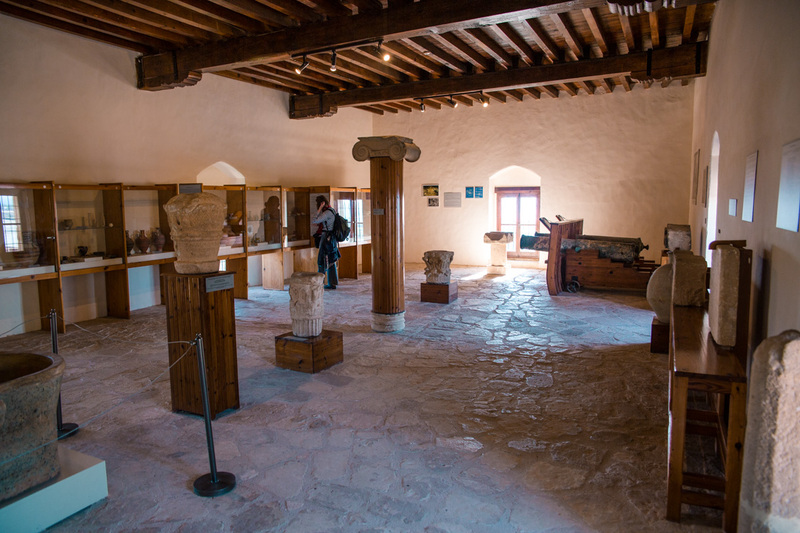 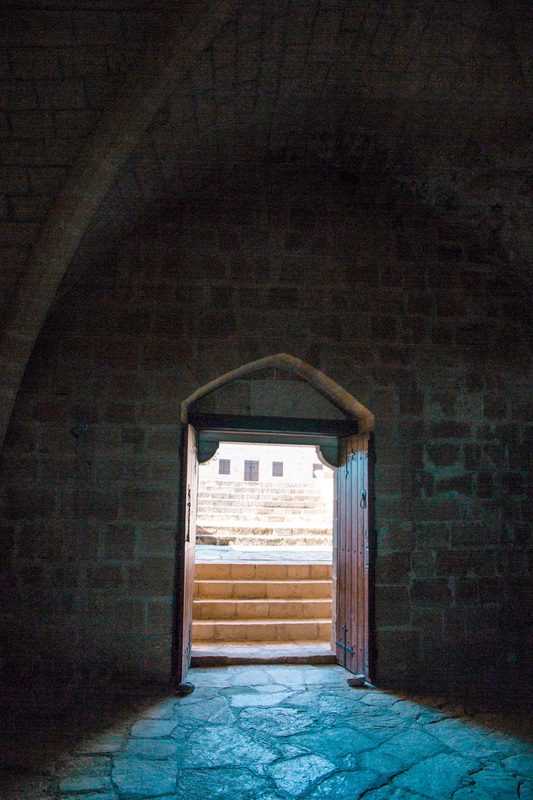 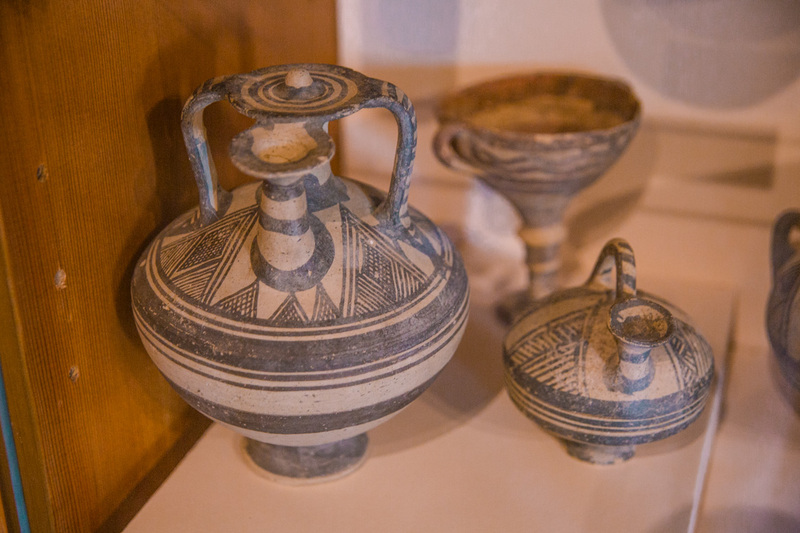 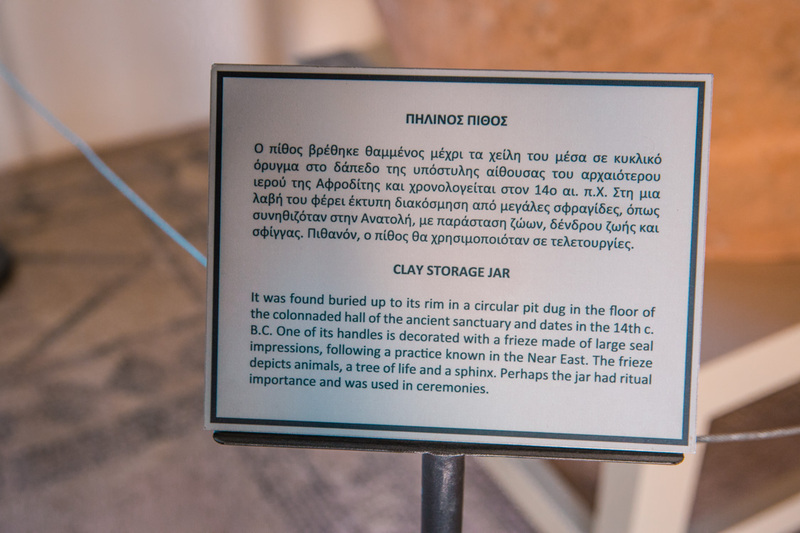 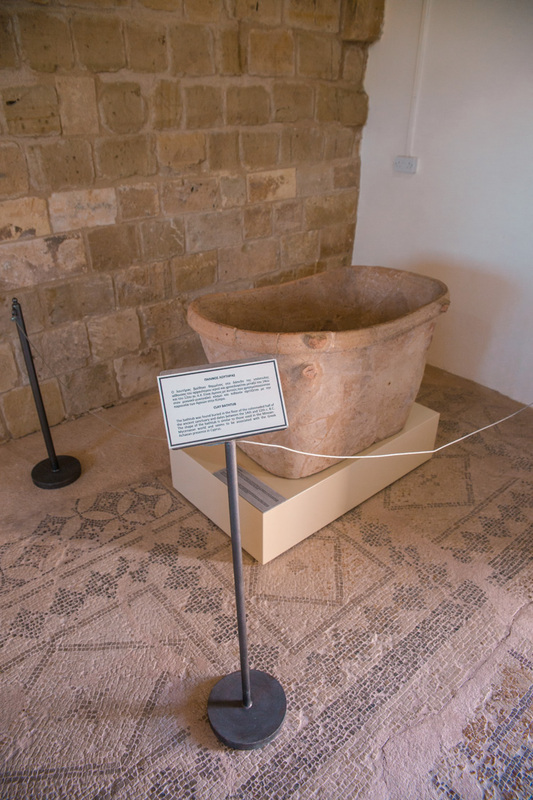 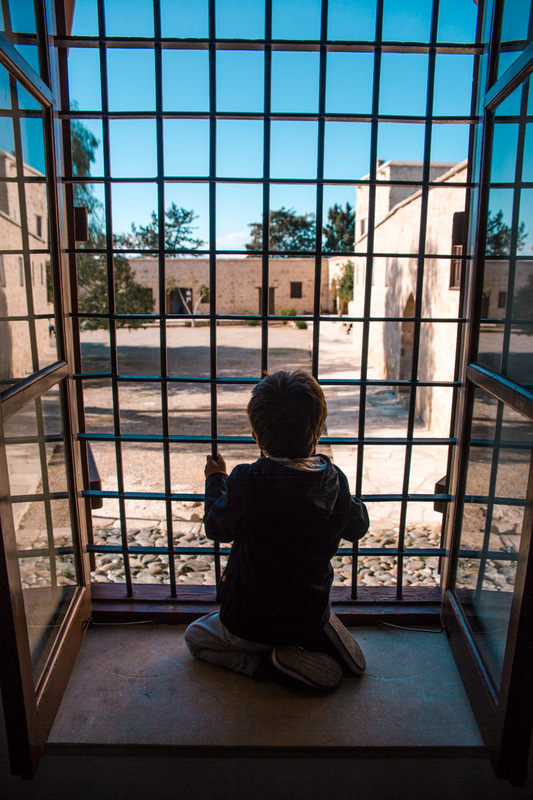 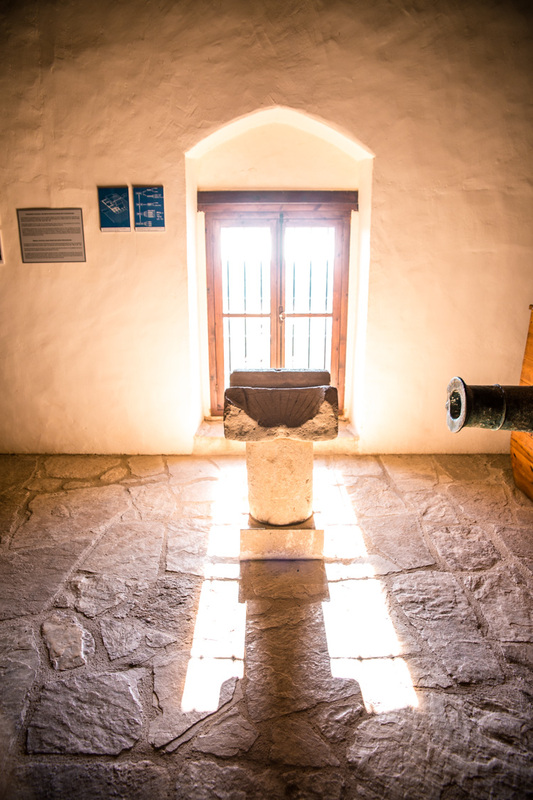 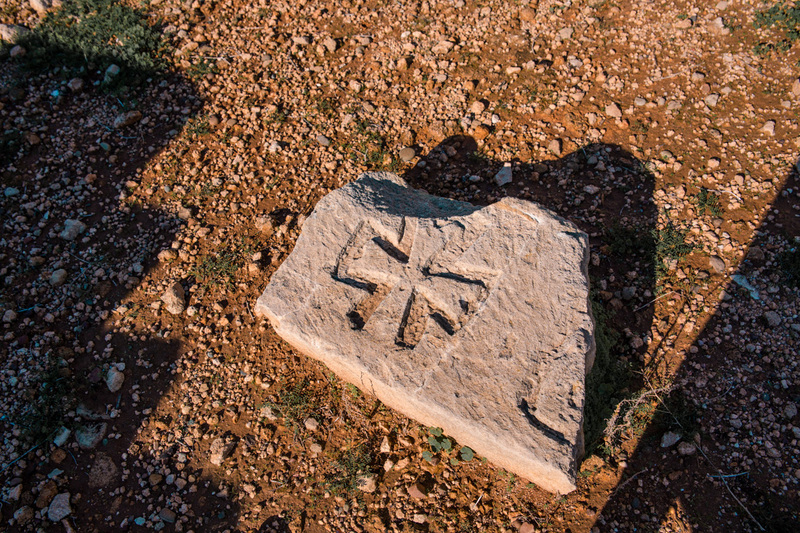 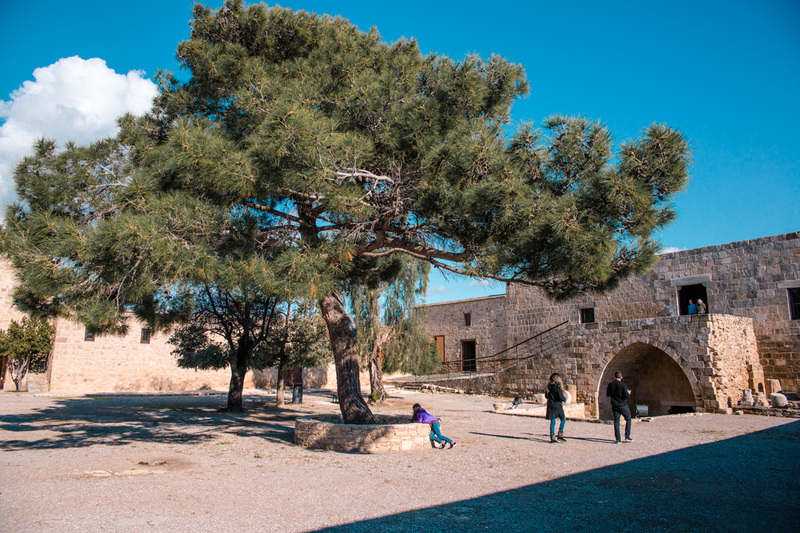 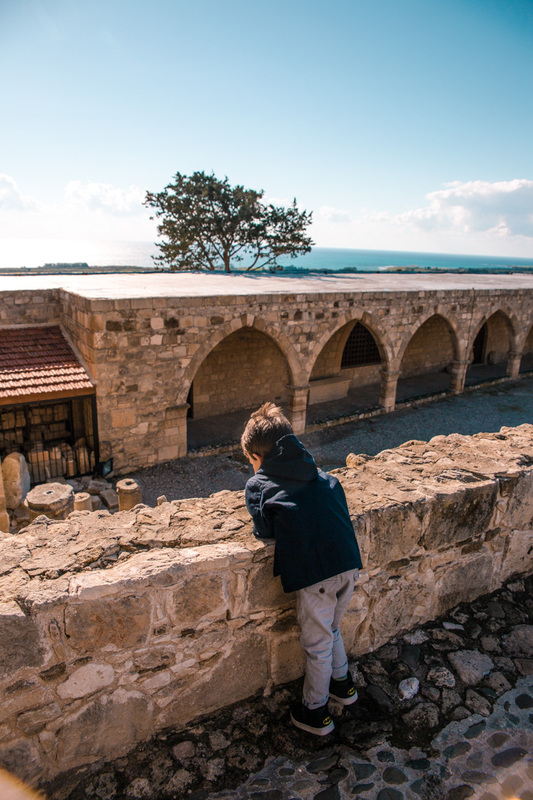 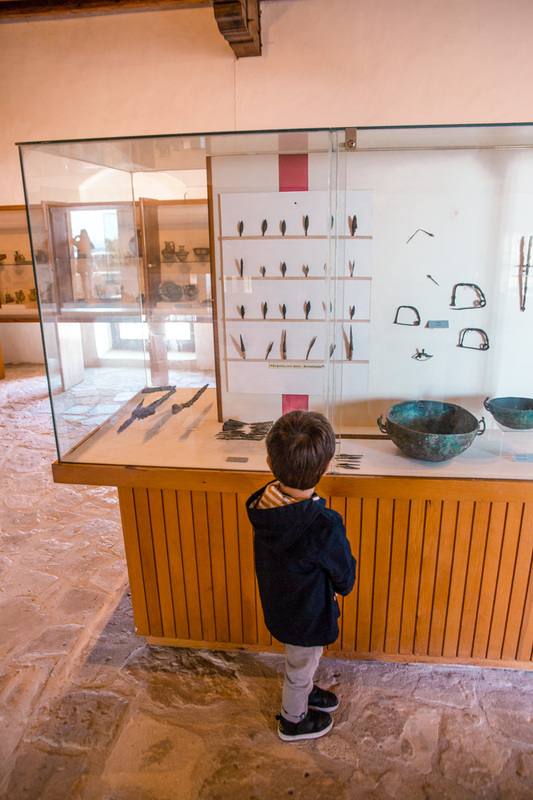 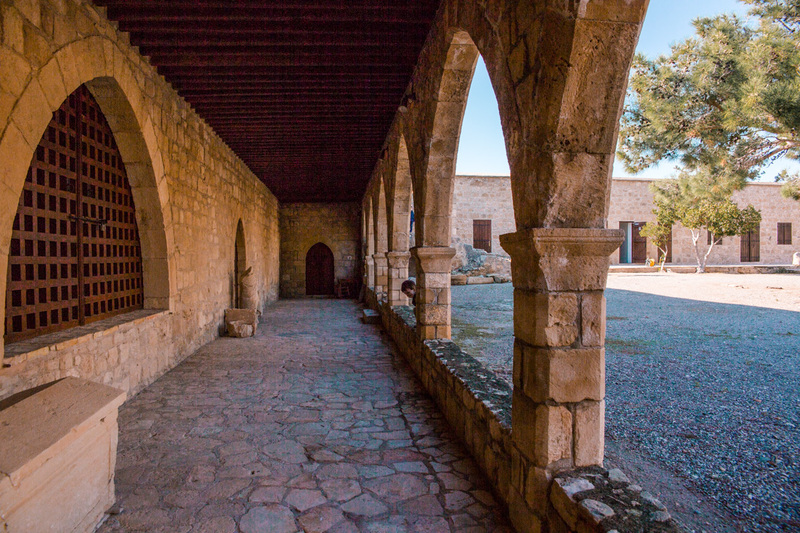 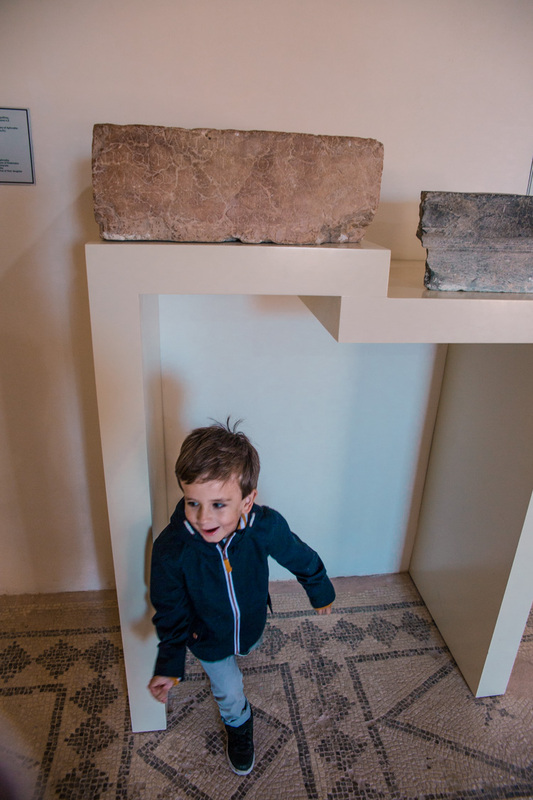 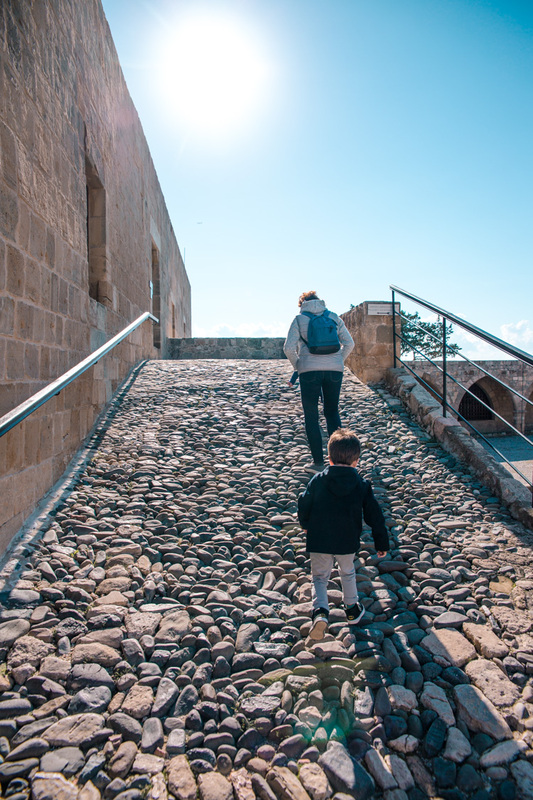 If you live here or spend more than one week browsing around Cyprus, I think it’s a lovely place to visit and reconnect with a bit of history.